Three rounds for time of: Complete, cant remember my time. 10 min ish. Ok where to begin. Its been a few days since I last posted. Overall strength has been way down. 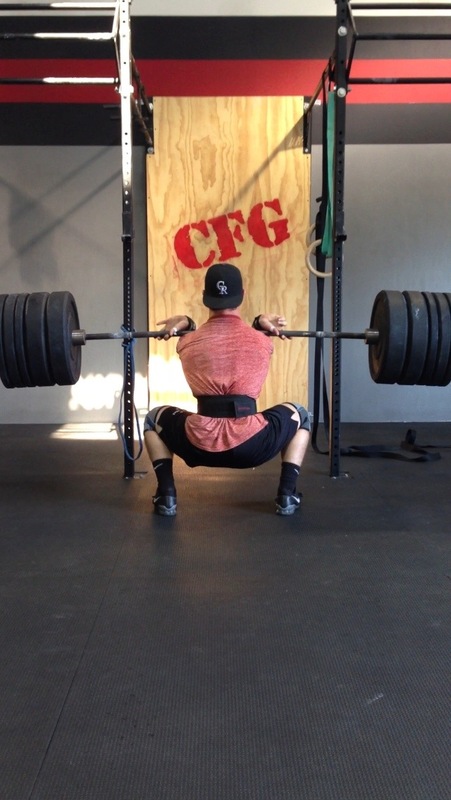 I traveled to Colorado, PR’d my frontsquat, but after that I havent been able to take heavy weight. 315 on my back feels crushing. My lungs are ok but the fatigue seems to be compounding. Back on the slope now and I am at an even greater sleep deficeit. Sleep needs to be a priority, and hasnt been lately. I felt like death this morning. Didnt want to workout. seriously tired and groggy. should have stayed in bed. Worked up to 165. felt solid and could have gone a lot heavier but i left it at that. Repeat for a total of five sets, resting 60 seconds between sets. Pick up each set where you left off when the last ended. Didnt count rounds. worked in the 80% range for the entire time though. Handstand Walk x 15-20 Meters Turned around for my first time. Finished at appx 27 min. Ran out of time for the last part. Build over the course of the five sets. Modified for time. A few snatches/OHS working on speed and form at 60%. Also worked on shoulder stability. I put 315 on by back and it felt crushing. I shut it down. 9/11 Hero WOD: 28:50… i felt great about the middle part. my monostructural work in the WOD was simply terrible. Low back is still pretty blown up. Sleep and nutrition have been on the serious rocks (traveling to Colorado for work/vacation). Felt totally drained today. * Sets 4-8 – 2 reps @ 90-95% 6×2 squats (speedy) at 225. I got to 90% and could barely stand 1 up. Not my strongest day. 50 reps front raises, some db curl to Arnold presses. Got to workout at crossfit low oxygen today in frisco colorado! high elevation mad things spicy. Minute 3 – 15 Kettlebell Swings (32 kg) unbroken on all sets. This was a battle for sure, bumped muscle ups down to 3 because I wasn’t comfortable with them at the time. Especially fatigued I didn’t want to hurt my already tweaked elbow or shoulder.